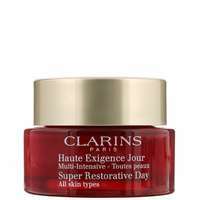 Home Brands Clarins Super Restorative Day Cream SPF20 All Skin Types 50ml / 1.7 oz. Essential skin care for a healthier, more radiant looking complexion when experiencing hormonal changes linked to age. 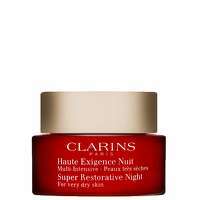 Organic Harungana extract nourishes the skin, it targets dry areas of the face and creates a radiant, youthful glow. To use: Apply to a cleansed face and neck with hands, using gentle pressing movements. Starting from the centre of the face and working outwards. Day Cream All Skin Types 50ml / 1.7 oz. 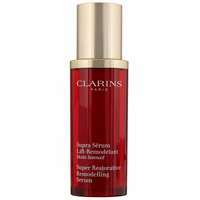 Remodelling Serum 30ml / 1 oz. Hand Cream 100ml / 3.3 oz. 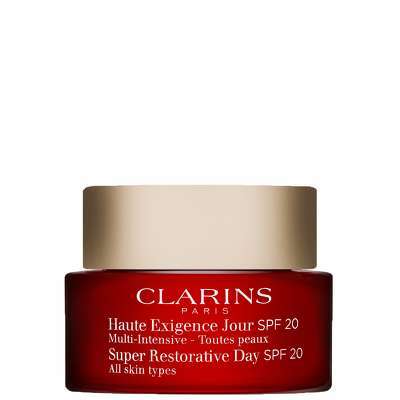 Clarins Super Restorative Day Cream SPF20 All Skin Types 50ml / 1.7 oz.